After being admitted into the practice of law, Mr. DiCaudo accepted a position with the City of Akron Prosecutor's Office. Mr. DiCaudo was an Assistant Prosecutor from November 1988 to January 1990. He was promoted to the position of Police Legal Advisor in January 1990. Mr. DiCaudo served the jurisdictions of Akron, Bath, Fairlawn, Springfield, Richfield, Lakemore, Mogadore and the University of Akron police departments. In June 2008, Mr. DiCaudo took his vast experience and knowledge of the law and joined Attorney Reid Yoder. Together they formed the law firm DiCaudo & Yoder and soon there after, became DiCaudo, Pitchford & Yoder. Mr. DiCaudo presently focuses his practice of criminal defense and specializes in handling OVI/DUI cases. 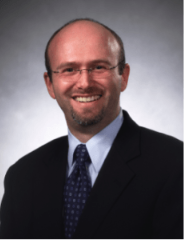 Mr. Pitchford received his Juris Doctor from The University of Akron, School of Law in 1999 and his Bachelor of Arts from Miami University in 1996. Mr. Pitchford has over a decade of experience in the practice of public law, government relations and litigation. His regional practice primarily focuses on representing public entities and in transportation litigation, including broker/carrier arrangements, cargo claims, freight charges collection and transactions and commercial litigation. He has a wide range of experience working for clients in both the private and public sector. He counsels clients in both contract preparation and strategic planning and also represents numerous large and small manufacturers and businesses. Mr. Pitchford has significant experience in counseling municipalities and counties in the areas of civil rights, employment, discrimination and constitutional law. He has successfully litigated numerous matters on behalf of municipalities regarding zoning and planning matters. He represents and advises major transportation and logistics companies as to various transactional issues, including transportation-related service agreements, cargo claims, freight claims, and regulatory compliance, and serves as counsel in related litigation throughout Ohio and the U.S.. Mr. Pitchford's experience includes jury trials, mediations and arbitrations in federal, state and local courts, appeals in the U.S. Sixth Circuit Court of Appeals and numerous appellate courts throughout Ohio. J. Reid Yoder graduated from Firestone High School in 1996. He attended University of Miami and graduated with a Bachelors of Arts degree in Political Science in 2000. Mr. Yoder attended the University Of Akron Law School and received his Juris Doctorate in 2003. He accepted employment with the City of Akron Prosecutor's Office after graduating. Mr. Yoder honed his skills as a trial attorney for over four years at the Prosecutor's Office. He has lectured at the Akron Police Academy on numerous topics including criminal procedure and police testimony. 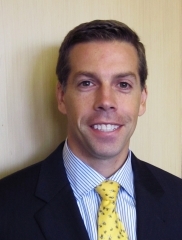 In 2007, Mr. Yoder left the Prosecutor's Office and began his career in private practice. 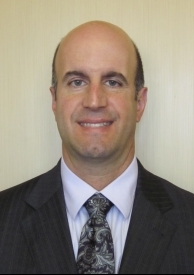 Mr. Yoder has excelled while in private practice and in 2008 expanded his Firm joining forces with Thomas DiCaudo. Mr. Yoder has tried numerous high profile cases and is certified by the Ohio Public Defenders Office to handle Capital Murder cases. Mr. Yoder's practice is focused on personal injury, criminal law, collections and Juvenile/Domestic Relations work. He is a member of the Charles Scanlon Inn of Courts and the Akron Bar Association. Attorney J. Reid Yoder has been listed as one of Ohio's Rising Stars℠ by Super Lawyers®, one of the nation's most sought after and respected attorney rating services. The Super Lawyers® selection process selects attorneys using a rigorous, multi-phased rating process which combines independent research with peer nominations. In the end, the goal is to produce a comprehensive and credible list of the most outstanding attorneys in the state. Attorneys in the candidate pool are evaluated on their professional achievements, verdicts and settlements, experience, honors and awards, as well as pro bono work, special licenses, education and other outstanding achievements. While up to 5 percent of lawyers in the state are listed as Super Lawyers®, no more than 2.5 percent of attorneys land on the list of Rising Stars℠. Ben Sorber graduated from the Binghamton University in 2011 with a Bachelors of Arts in English and Political Science. In 2014, Mr. Sorber received his Juris Doctor from the Akron University School of Law. 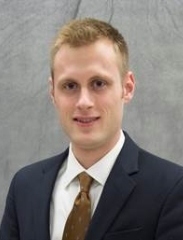 Throughout law school, Mr. Sorber competed on the University of Akron's nationally ranked trial team where he received top honors at the National Trial Advocacy Competition. Mr. Sorber has worked for the Summit County Public Defender's Office and served as the judicial clerk for Judge Jerry K. Larson, Presiding Judge of Akron Municipal Court, where he dealt with traffic violations, misdemeanors, and civil matters including collections and landlord-tenant law. In 2014, Mr. Sorber accepted an associate position with DiCaudo, Pitchford & Yoder. Mr. Sorber is an active member of both the Ohio State Bar and Akron Bar Associations and continues to volunteer with the University of Akron's trial advocacy program. Represents municipalities, corporations, and individuals in civil litigation in matters ranging from contract disputes, personal injury, and collections. Represents commercial and residential property owners in eviction proceedings and lease disputes.